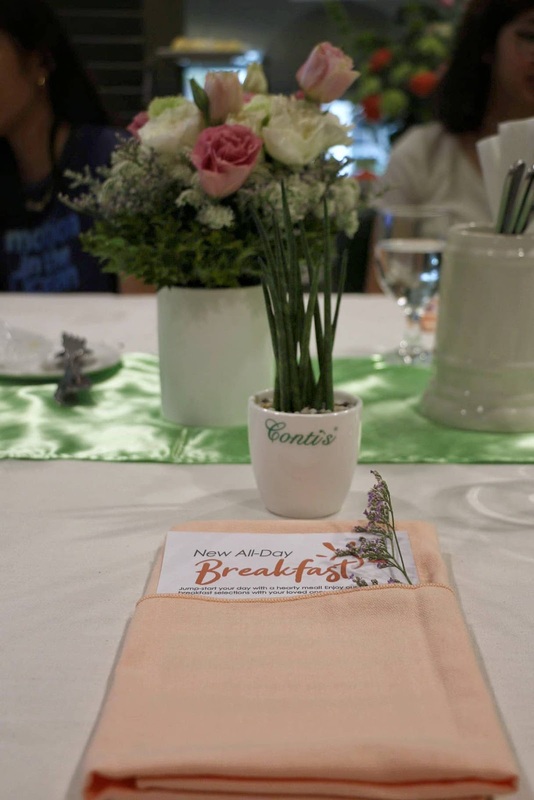 I was one of the blessed few who were able to try these new All-day B-fast addition, but before the exciting taste-test, Conti's people have set up a workshop for all of us. They invited @SucculentsPH for a Cactus plant workshop. Made this potted kind of snake plant myself. At Conti’s Bakeshop and Restaurant, a meal is more than just a meal. 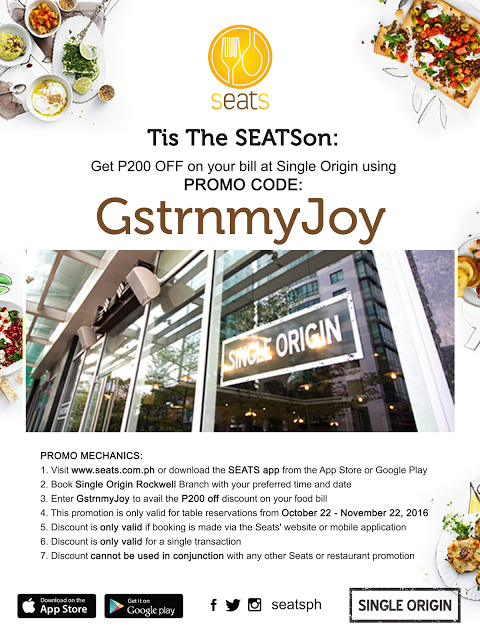 The restaurant prides itself for its well-known ambiance, where eating is in itself, an experience. 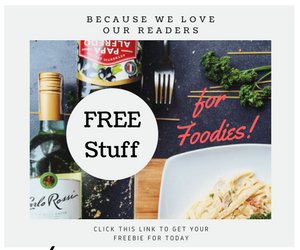 Its regulars would attest to just how they enjoy their meals even more, simply because they can, sensory-wise, see, hear, and smell what they are eating, as well as, enjoy a decent conversation with friends, family, or a professional colleague. A little interesting story was also shared to us by the marketing director of Conti's. Did you know that they started in the garage catering for the small neighborhood of BF Homes? 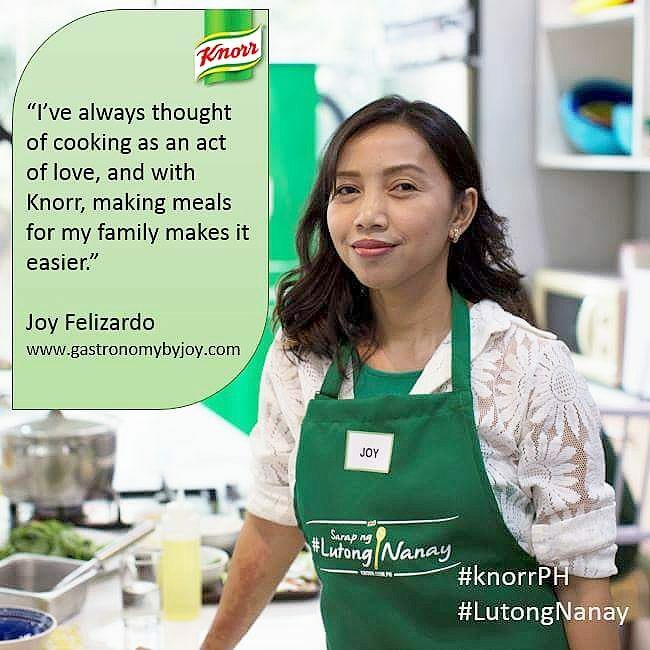 It was pioneered by Titas, three Conti's sisters actually, armed with the love for food and their family's heirloom dishes. After 22 years of culinary excellence, Conti’s Bakeshop and Restaurant continues its passion to create and serve delectable food, reminiscent of the convenience and comforting warmth in one's own home. 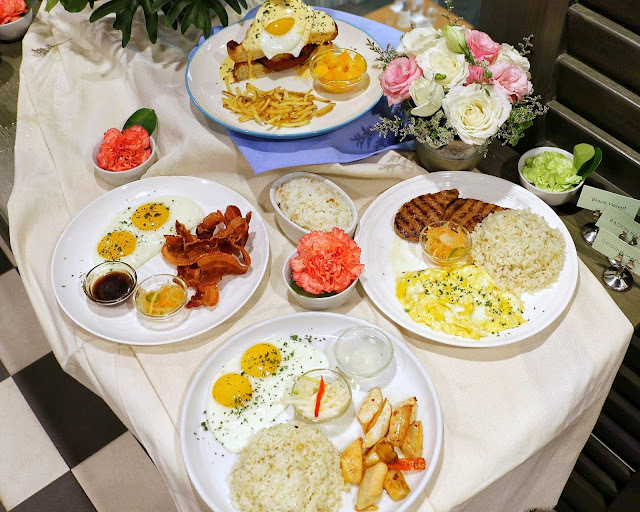 In its latest additions to its already long line of customer favorites, Conti’s Bakeshop and Restaurant, has recently unveiled its newest food offerings, with the Filipino appetite in mind. 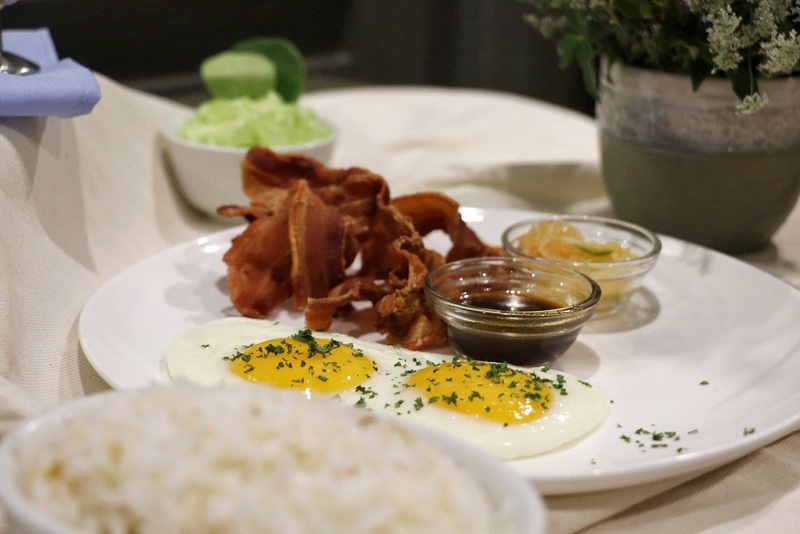 Homemade pork belly slices naturally-cured and crisped to perfection, with sweet and salty sauce, served with garlic rice, eggs, and atchara. Forget about what you know about longanisas! Don't get surprised when you see a meat patty served when you order this. The patty is the deliciously sweet and yet still savory skinless longganisa! 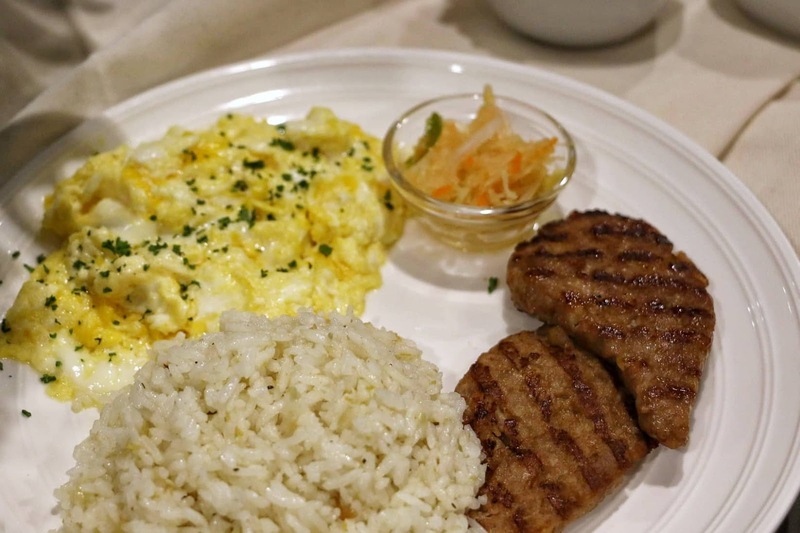 It is served with lemon, eggs, and atchara. A classic Conti’s recipe! 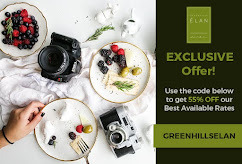 Ditch your daing na bangus cravings or tuyo, for that matter, Salmon Belly in Olive Oil is the new fish for breakfast. 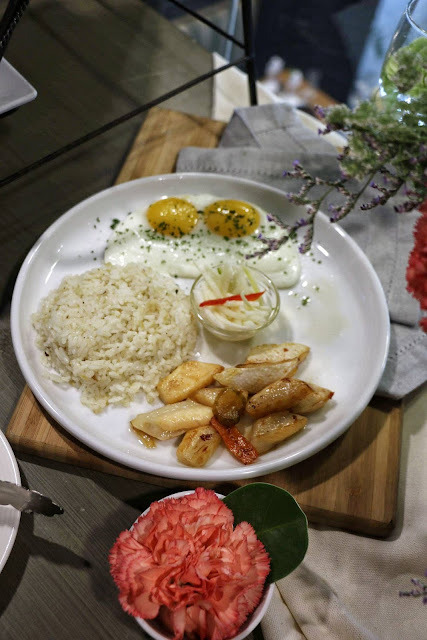 Norwegian salmon belly strips is seasoned in olive oil, served with lemon rice, eggs, and pickled ubod. 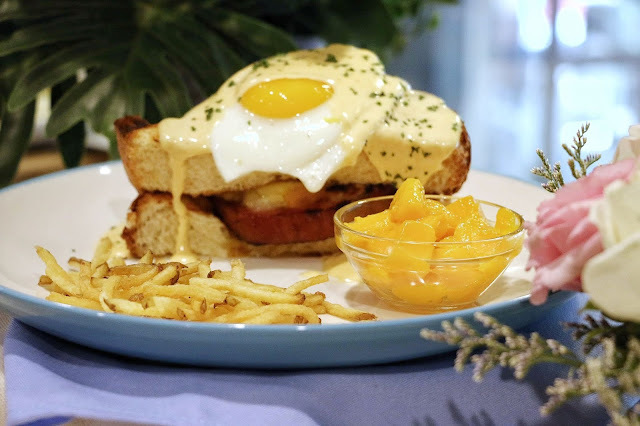 What so special about this is that you get to taste a hint of Christmas as it is stuffed with thick slices of Conti’s homemade ham roll in between toasted brioche, topped with sunny-side-up egg and hollandaise sauce, served with potato shoestrings, perfectly complimented with a cup of fresh fruits. How can forget, since it was my birthday that day, I made sure to buy Mango Bravo to bring at home. 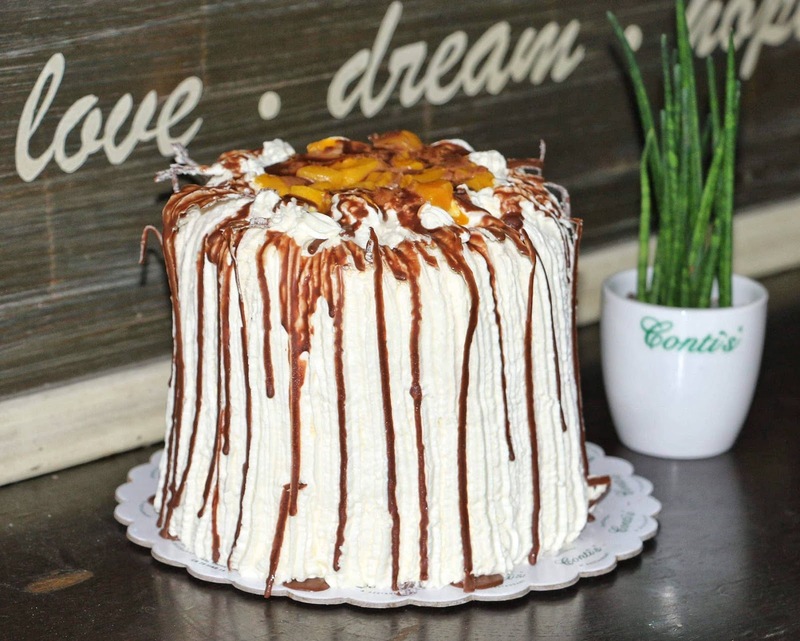 To see more of Conti's offerings and their branches, do visit their website http://www.contis.ph/shop/index.php?route=common/home Facebook.